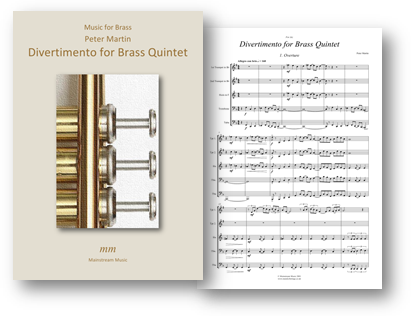 A divertimento in three movements, written in 1994 for Jez Ainsworth and the Oldham Youth Brass Ensemble. The PDF also contains parts for Tenot Horn in Eb, doubling Horn in F, Euphonium, doubling Trombone and Tuba in Bb, doubling Tuba. Click here to listen to a recording of the piece. Click on the image below to view the score. 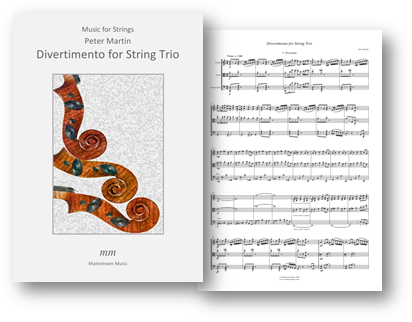 A transcription for string trio of the composer's popular sonatina for piano or harpsichord. The PDF includes a part for violin, doubling that of the viola. Click here to listen to a recording of the piece. Click on the image below to view the score. 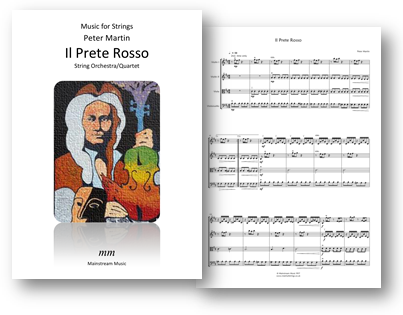 A minimalist homage to 'Il Prete Rosso' (the Red Priest), Antonio Vivaldi, for string quartet/orchestra. The PDF contains parts for violin III, doubling that of the viola, and double bass. Click here to listen to a recording of the piece. Click on the image below to view the score. 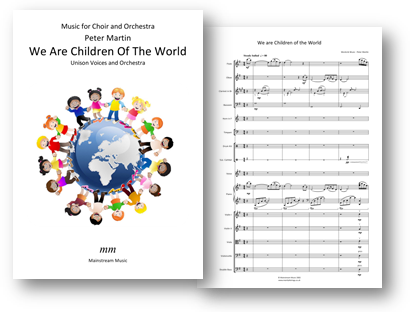 For massed unison choir and orchestra, written for the Oldham Schools’ Music Festival. The PDF includes a voice and piano reduction, and a part for violin III, doubling that of the viola. Click here to listen to a recording of the piece. Click on the image below to view the score.